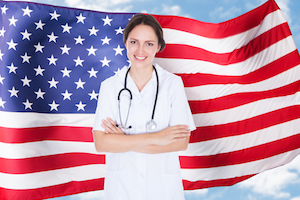 Foreign Medical Professionals may choose from several different USCIS immigration pathways. Selecting an immigration category that is the most appropriate always depends on each case in order to determine visa-eligibility for every Medical Professional applicant. Davies & Associates has established itself as a United States immigration law firm with an international footprint. Our Foreign Medical Professionals (FMP) Immigration Practice concentrates on individual occupations that are involved in virtually all fields of the United States healthcare system: Internal medicine, surgery, dentistry and veterinary services; and in related patient-care areas, such as nursing, therapy, diagnostic imaging, pharmacy and more. You may read more about how we serve occupation specific professions here.